On the tarmac at SFO, just before takeoff. This entry was posted in Family, Kids, Moving, San Francisco and tagged Airplane, Airport, Moving, Photo, Postaday, SFO, Threshold, Travel, Weekly Photo Challenge. Bookmark the permalink. I hope she was less frightened than she looks!! Oh, she was perfectly fine. Except when I went to the bathroom to change the little one’s diaper. She said she was fine by herself, but a couple minutes later I heard her screaming. So we ended up ALL going to the bathroom. Holy cow, that was not easy. 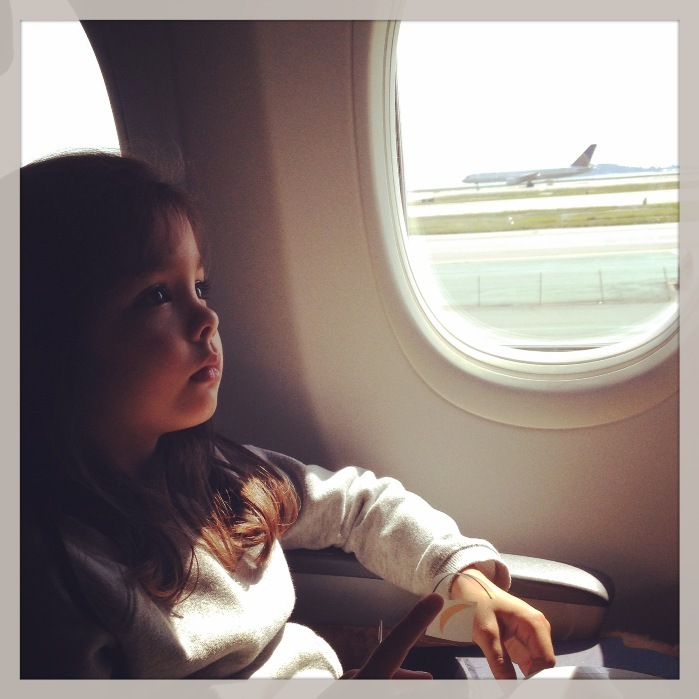 Lani, I’ve loved following your journey – smiling and crying with you along the way. This photo of Penny is beautiful. Welcome to Grosse Pointe! Thank you! Still feels like we’re on vacation vs. staying. Once We move into the rental I think things will seem more permanent-ish.